Dermal Fillers Toronto-What Are They? Wrinkle fillers or Dermal Fillers, are products that are injected into the skin at various depths to help plump up lines and add volume to depressed or hollow areas on the face. There is a wide variety of dermal fillers that we use at that can fill wrinkles and add volume to your face. 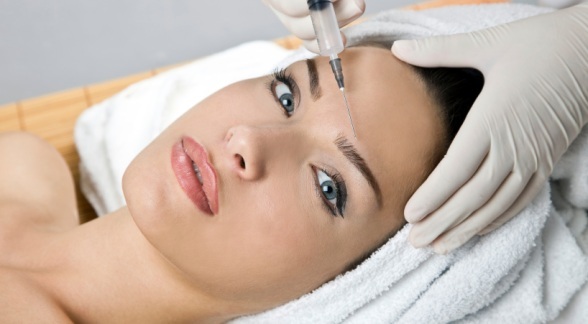 Most wrinkle fillers are made of different forms of Hyaluronic acid and are extremely safe to use. Hyaluronic acid based fillers have been around for many years and are approved by Health Canada for cosmetic injectable purposes. Restylane Teosyal and Juvederm product series have various types of injectable dermal fillers that can be used to fill lines and add volume. Lasting Looks Clinic in Toronto offers our patients these complete product lines and with them can correct and enhance whatever area concerns you. These are all temporary dermal fillers that last from 6 months to 2 years depending on the patient and the area being treated. Injectable Fillers have come a long way. Dermal Fillers like Juvederm, Teosyal and Restylane can be used from lip augmentation to wrinkle and filling. Tissue fillers are injectable products that temporarily replace the loss of collagen and Hyaluronic acid. Products like this can also be used to correct many concerns such as acne scars, thin lips, vertical lip lines, frown lines, crow’s feet, deep nasal folds and deep wrinkles. They are also used to enhance lips and outline the vermilion border of the lips as well.